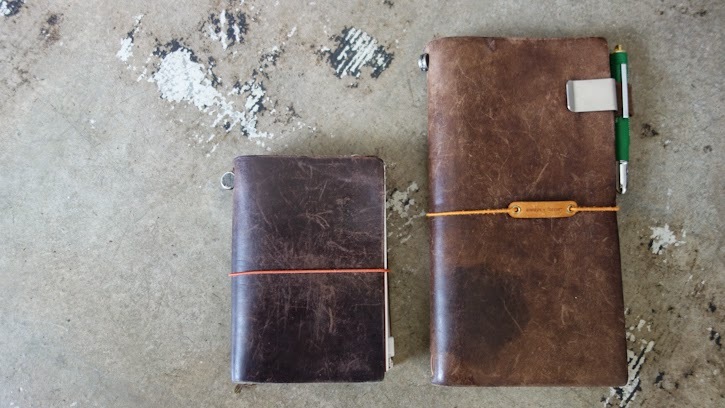 Brown Traveler's Notebook is one of the oldest product I can feature with its unique metamorphosis process. And probably one artifact that is the closest to me. 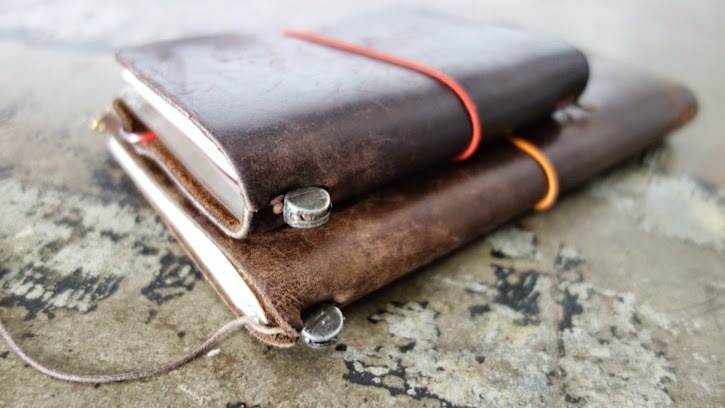 I remember so vividly the day I saw this beautiful leather notebook displayed so casually in a large Tokyo stationery store. It was the last day of our stay in Tokyo and I couldn't believe how much and how quickly I fell in love with it... at the moment I saw it. 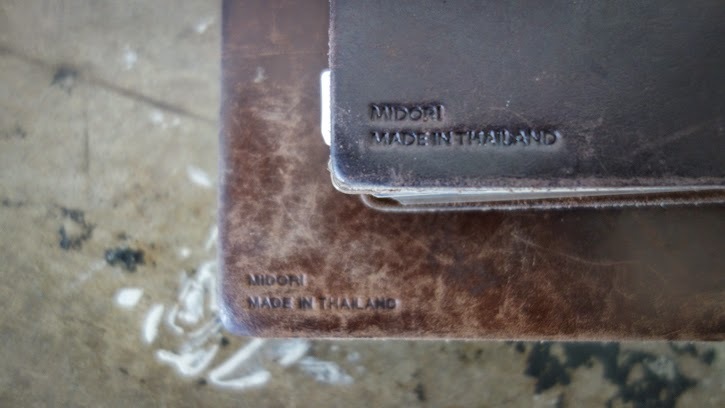 I dragged Frido to the little corner of the stationery store and made up my mind that I would get the brown one and Frido would get the black one... and stuffed our suitcase with all the refill notebooks I could carry because I knew that they would be difficult to find in the U.S. 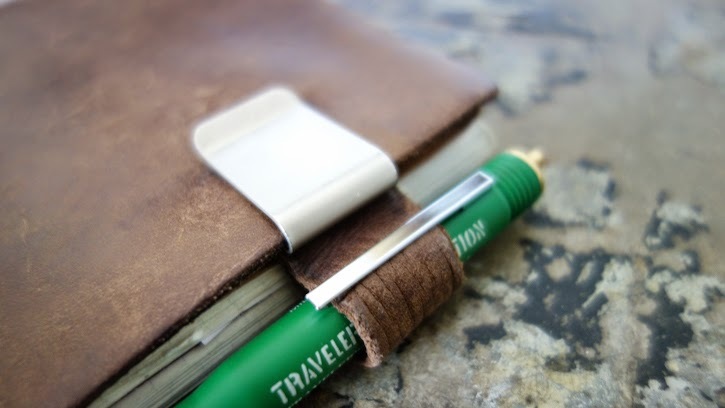 This was before Traveler's Notebook started gaining the popularity and really... nobody seemed to know about it in the States. 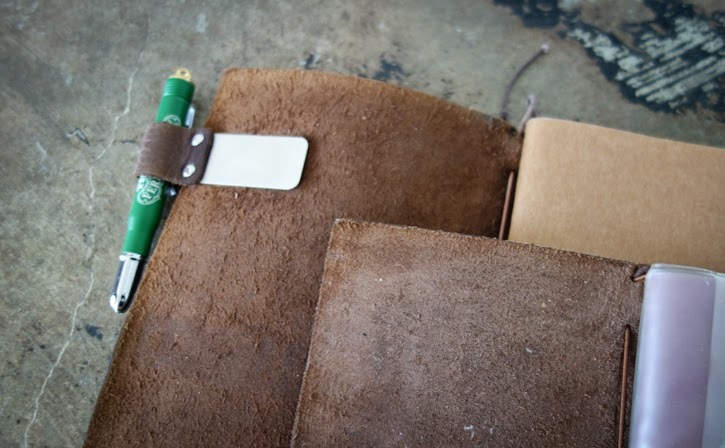 Little I knew that this beautiful leather notebook cover will be the beginning of our Baum-kuchen journey. 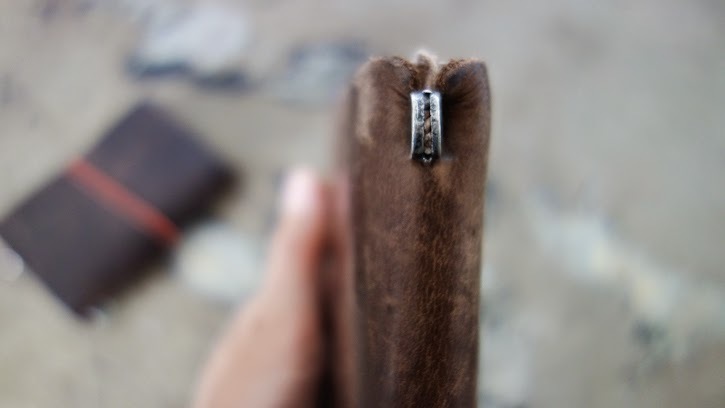 I have used my regular size Traveler's Notebook for six years and love every bits of its aging and wearing in process. Even the little spot that was left on the front cover from some kind of drink or lotion I accidentally spilled in my purse. 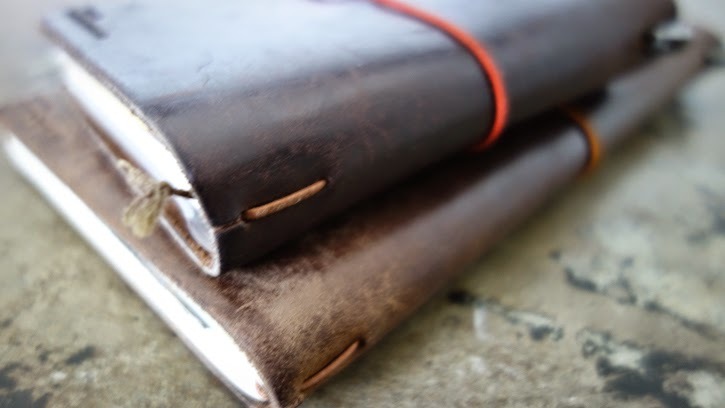 I carried it during my Seattle/Los Angeles commute, our memorable travels, documenting life with Satchi and Coco... People are always surprised by how much the leather changes over time and some customers have proposed to purchase my old Traveler's Notebook instead of getting the brand new one. 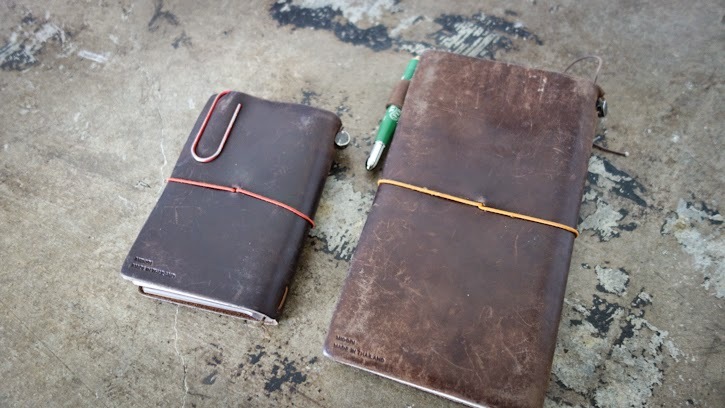 I kindly declined the offer and suggested that they embrace their unique journey with the Traveler's Notebook by carrying it, loving it and writing/drawing as much ideas and life as it happens! The Passport Size was used about two years when my life was little less complex. 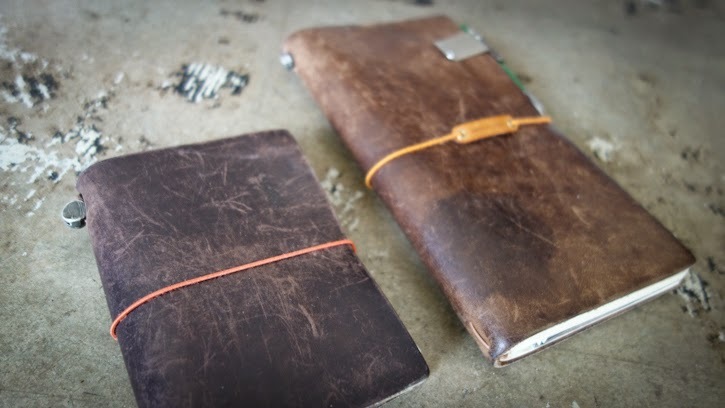 I carried it as my wallet/monthly planner and note taking. You can see the difference between 2 years vs. 6 years of wearing in. 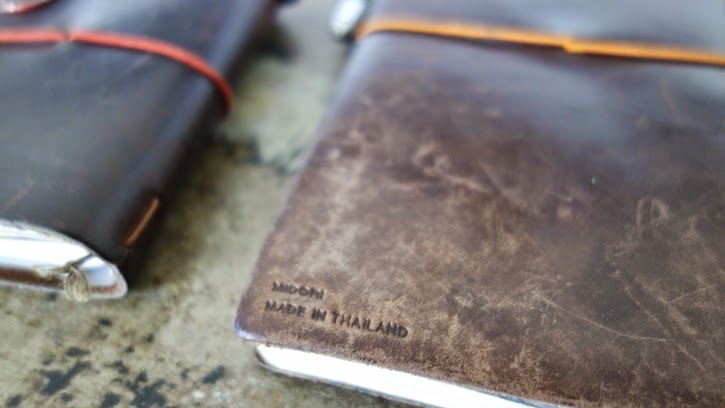 How does your Traveler's Notebook look so far? I would love to see it if you could send us pictures!